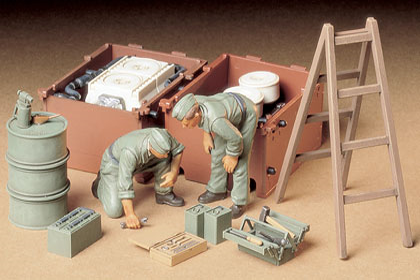 This is the Tamiya 35 180-1100 kit in 1/35 scale, of the ‘German Tank Engine Maintenance crew set’. This entry was posted in Kits, Stash and tagged 1/35, crew, engine maintenance, german, tamiya by Thomas. Bookmark the permalink.